U.S. 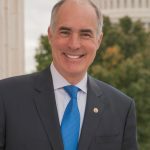 Senator Bob Casey has been a stalwart advocate for older Americans throughout his career and his thirteen years in the U.S. Senate. Senator Casey currently serves as the Ranking Member of the U.S. Senate Special Committee on Aging, which serves as a focal point in the Senate for discussion and debate on matters relating to older Americans; including Medicare, Social Security, the Older Americans Act, disabilities, retirement security, and employment opportunities for older Americans. Through legislation, town halls, and strategic reform, Sen. Casey has had powerful impact on the rights of grandparents raising grandchildren, victims of elder abuse, scams and exploitation and those facing guardianship. As the Ranking Member on the U.S. Senate Special Committee on Aging, Senator Casey is able to shape the Committee’s agenda and advocate for Pennsylvania’s seniors. He is bringing Pennsylvania leaders to Washington, D.C., and issues important to Pennsylvania seniors to the policy-making table. He is working on a wide variety of topics; including protecting Medicare, Medicaid, and Social Security, preventing seniors from becoming the target of a financial scam, promoting retirement security, supporting caregivers, making our communities age-friendly, and helping grandparents raising grandchildren. Among many other accomplishments, Senator Casey authored and introduced the Grandparents Raising Grandchildren Act, bipartisan legislation to provide grandparents raising grandchildren with needed assistance and raising national awareness and responses. He supported seniors targeted by scams through the SeniorSafe Act; bipartisan legislation to engage financial institutions in identifying and stopping financial exploitation of older Americans. He authored and introduced the bipartisan Guardianship Accountability Act, which would promote information sharing among courts and local organizations as well as state and federal entities, encourage the use of background checks and less restrictive alternatives to guardianship, and expand the availability of federal grants to improve the guardianship system. SeniorLAW Center has been proud to work with the Senator and his team on all of these issues. SeniorLAW Center’s Executive Director was honored to testify before the U.S. Senate Special Committee on Aging in November on guardianship reforms, abuse and exploitation, right to counsel, and the role of legal services to protect the rights of older Americans. SeniorLAW Center is proud to honor Senator Casey for his extraordinary service, advocacy and leadership. Judge Woods-Skipper was appointed in December, 1998 by Governor Tom Ridge, to the Pennsylvania Court of Common Pleas, First Judicial District, and currently sits in the Orphans’ Court Division. 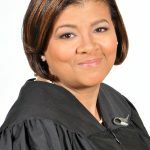 Judge Woods-Skipper launched and has led the Philadelphia courts’ elder justice initiatives and the development and launch in October 2016 of Pennsylvania’s first Elder Justice Resource Center, located in City Hall, to provide information and services to seniors to navigate the justice system, as well as public education and pro bono programs. As a member of the Pennsylvania Supreme Court’s Advisory Council on Elder Justice in the Courts, Judge Woods-Skipper co-chairs the Council’s Elder Abuse and Neglect Committee, as well as many other leadership roles in Philadelphia and throughout the Commonwealth. She also led the creation of the First Judicial District’s Mental Health Court over which she presided until her reassignment to Orphans’ Court. Judge Woods-Skipper. As immediate past President Judge of the Philadelphia Court of Common Pleas, Judge Woods-Skipper focused on promoting access to justice, inclusiveness and efficiency and speaks and trains on elder justice issues and court-based access to justice projects. SeniorLAW Center is proud to honor her leadership in elder justice. Gay is special counsel in Pepper Hamilton LLP’s Philadelphia office. 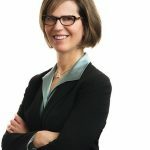 She is a former SeniorLAW Center Board Chair, long-serving board leader, pro bono attorney, ambassador, and advocate for older people and access to justice. Under her leadership, SeniorLAW Center expanded programs, staff and services, including its statewide services through its 67-county Pennsylvania SeniorLAW HelpLine. Gay has co-chaired Pepper’s Saving Seniors’ Homes practice group, partnering with SeniorLAW Center to defend the rights of low-income senior homeowners facing contractor fraud, enabling them to age in place in safe, habitable homes with independence and dignity. She is a Fellow of the Pepper Center for Public Service as well as a Fellow of the American Bar Foundation. Gay previously served as associate general counsel for The Children’s Hospital of Philadelphia. Before entering law school, she taught high school English and studied, taught and performed modern dance. She currently is a candidate in poetry in the MFA program for writers at Warren Wilson College. Gay’s wisdom, generosity, tenacity and inspiring leadership have been instrumental to SeniorLAW Center’s current growth and expansion. SeniorLAW Center is proud to induct Gay into its Hall of Fame, recognizing those who have made extraordinary contributions to the Center’s enduring success and legacy. Duane Morris, a law firm with more than 800 attorneys in offices across the United States and internationally, has been a dynamic pro bono partner of SeniorLAW Center in diverse and creative ways for well over a decade. Attorneys in the Firm’s Philadelphia office have led pro bono practice groups to help save the homes of low-income older homeowners, advocated for systemic changes to protect older victims of abuse, celebrated the contributions of older veterans by providing estate planning and other legal advice, represented individual low-income seniors in a variety of forums, and supported SeniorLAW Center’s work through Board leadership, administrative assistance and generous financial support. Since 2015, over 85 Duane Morris attorneys and staff have contributed more than 2,000 pro bono hours to aiding seniors through SLC and other legal aids. In 2018, 100 percent of U.S. attorneys engaged in pro bono service; firmwide, Duane Morris attorneys and staff donated over 37,000 hours equating to three percent of the firms billable hours. Duane Morris attorneys are stellar ambassadors, leaders, supporters and volunteers. SeniorLAW Center is proud to honor their many diverse contributions to pro bono and to elder justice.